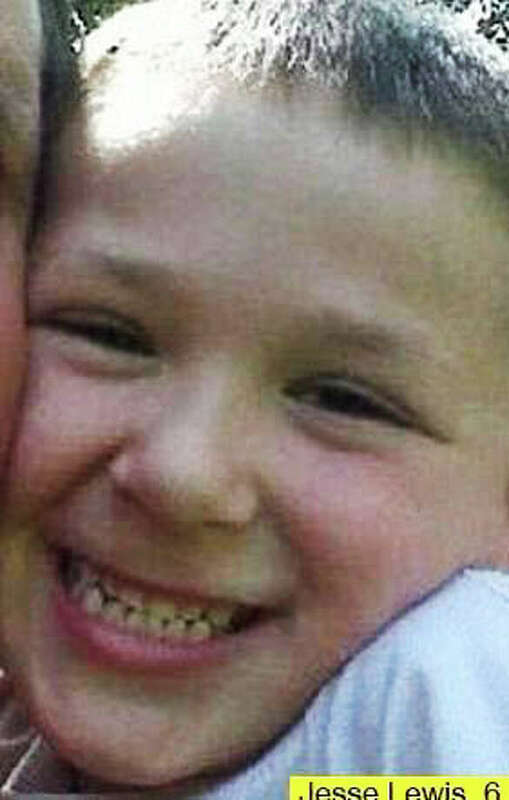 Jesse Lewis, 6-year-old victim of the Sandy Hook Elementary School shooting in Newtown, Conn. on Friday, Dec. 14, 2012. Jesse Lewis may have been only 6 years old, but he seemed much older. A neighbor who lives next door to Jesse and his mom, Scarlet, said he was "older than his years" and was well-versed and smart. The boy who turned 6 at the end of June was one of 20 school children to die Friday in the shooting at Sandy Hook Elementary School. He loved playing in his back yard where there is a barn and pasture for horses. Jesse "was always playing in the back yard with the horses," said the neighbor, who asked to not be named. Late Saturday afternoon, a woman named Lisa who keeps her horses on the property, described Jesse as a "bright, precocious little boy" who was always happy. She declined to give her last name and said that Jesse's mom was with family and not ready to talk. George Arfaras, 81, a next-door neighbor, said he would often see Jesse running around out back. "I'd be in the yard or in the house," Arfaras said, "and I would hear him laughing, playing."